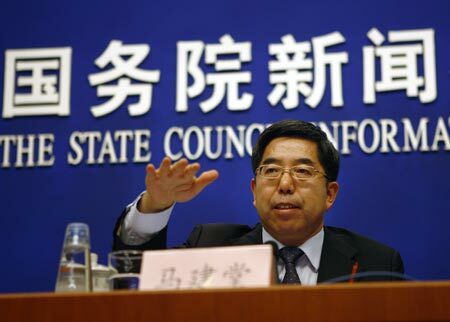 BEIJING, Dec. 26 — The weight of private enterprises in the overall economy is on the rise and that of State-owned enterprises (SOEs) on the decline, Ma Jiantang, minister of the National Bureau of Statistics, said on Friday. The number of private firms rose by 81.4 percent from 2004 to 2008 to reach 3.6 million and SOEs dropped by 20 percent to 143,000, Ma said at a press conference where China’s second economic census results were released. China has made great efforts over the past 30 years to restructure its economy. It has gradually raised the proportion of private enterprises after the market-oriented reform began in the early 1980s. As a result, the private sector has contributed an ever-growing value to the country’s GDP and provided most of the jobs. But in recent years, some major acquisitions have seen SOEs buying into private companies, sparking concern that the State may be strengthening its control over the private sector. Ma said the census figures do not suggest SOEs are buying into private enterprises. In terms of asset value, SOEs saw their proportion in the nation’s total drop by 8.1 percentage points from 2004 to 2008 to 23 percent. In contrast, private enterprises’ assets rose by 3.3 percentage points to 12.3 percent.